Dedicated to progressing new solutions and partnerships in support of the emerging electric vehicle market, Centrica Mobility Ventures will work with the company's international Consumer and Business units to develop customer offers that combine energy supply and charging infrastructure services alongside value-add services such as energy optimisation and software applications. 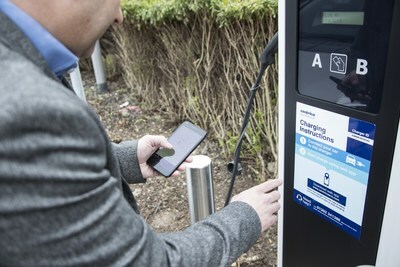 Charles Cameron, Centrica's Director of Technology & Engineering and Chairman of Centrica Innovations, said: "The direction of travel for EVs is clear but we know from talking to our customers and partners that many are struggling to find their way through the implications of roll out at scale. "With a global network of over 15,000 engineers and technicians, and expertise in designing and managing energy solutions offered through Centrica Business Solutions, I believe we are uniquely positioned to develop a simple, holistic solution for customers that will address many of the challenges around EV adoption." The team will build on Centrica's experience as an installer of over 17,000 EV chargers globally and the launch of a new smart time-of-use tariff from British Gas that offers homeowners cheaper electricity overnight to charge their car. For more information on Centrica Innovations, go to http://www.centrica.com/CI. 1. British Gas' Green Drive Nov 2020 tariff offers customers a cheaper rate between 12.30am and 7.30am to charge their vehicle.